There is a national recruitment crises of GPs. In the last 3 years we have lost 3 GPs and have only been able to replace 2. We are trying to manage our access by pointing patients to the most appropriate person so that precious GP appointments are for those who really need to see a GP. Whilst we offer same day/next day service, we are asking our patients only to make an appointment if they really need to be seen. Some minor queries can be dealt with by contacting one of our receptionists who are always happy to sort out these minor queries without using up precious GP appointments. Help us to maintain our access for those patients who need it. We now operate a same/next day telephone-led consulting service to make it easier and quicker for our patients to get help from the team at Trinity Medical Centre. Please ring before 5pm on the day you wish to be seen. Your call will be taken by a healthcare navigator who have been trained by the GP to ask some simple questions first so that they can direct you to the right person for your problem. This may be a pharmacist as they are now trained to deal with minor problem. All our doctors are qualified to help but if you want a particular doctor please call on the day they are working and we will try to fit you in but it may not always be possible and you may have to see a different doctor. Usually within an hour on the day you contact us but it may take up to 2 hours. You must remain by the telephone number you have given and the call may be unidentified. You will be seen if that is needed. We encourage patients to see the same GP for ongoing problems. Please try to telephone for your appointment on the day the GP works. Do you have access to a mobile phone/tablet or computer? Would you like to consult with the GP using a video consultation from your own home? This is a secure, reliable and convenient video consultation which allows patients to consult with their doctor using the latest technology designed with both the clinician and patient in mind. Ideally, all patients should be seen in the surgery, where we have access to facilities. 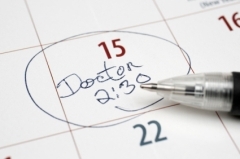 Should you need to see a doctor quickly and are able to come to the surgery, an urgent appointment will be arranged. However, should you be housebound or too ill to attend the surgery, a home visit may be requested by telephoning the surgery before 10:00. The receptionist will need to ask your name, address and telephone number along with brief details of the problem. The GP will then contact you to discuss your problem and you may be referred to the Acute Care Team. Patients can contact the Acute Care Team direct on 07909975364 Please ask for a home visit only if it is really necessary. Lack of transport or looking after other children is not a valid reason. 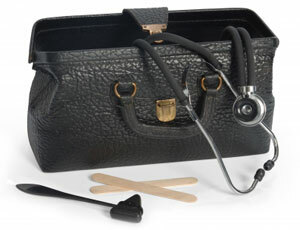 Sometimes when you or your family are unwell, you may not need to make an appointment to see your GP (family doctor). For some illnesses and minor ailments, your local community pharmacist can provide free medication and advice to help you feel better. The Think Pharmacy First scheme is available to adults who are entitled to free prescriptions on the grounds of low income, and to their children. People over 60 are also entitled to use the scheme. Advice from your Community Pharmacist is always free. 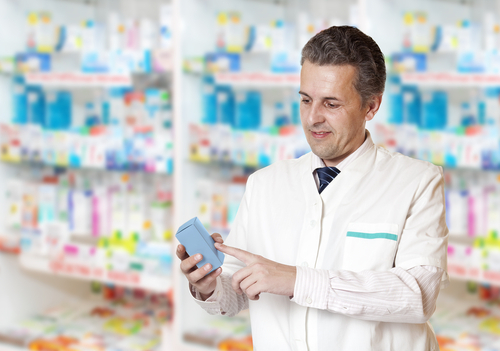 Pharmacists are highly qualified health professionals and are experts in the use of medicines. They are qualified to diagnose and treat all the minor ailments on the Think Pharmacy First scheme. Community Pharmacists are also the “doorway” to NHS services and can advise if your condition needs to be seen by another health professional such as a GP. They can also tell you where other local NHS services are located, such as the nearest walk-in centre. If you are already entitled to free prescriptions then treatment may also be free on the Think Pharmacy First scheme. For example, if you have a headache, you may be given paracetamol by your pharmacist. For more information see the DirectGov website (where this information was sourced).